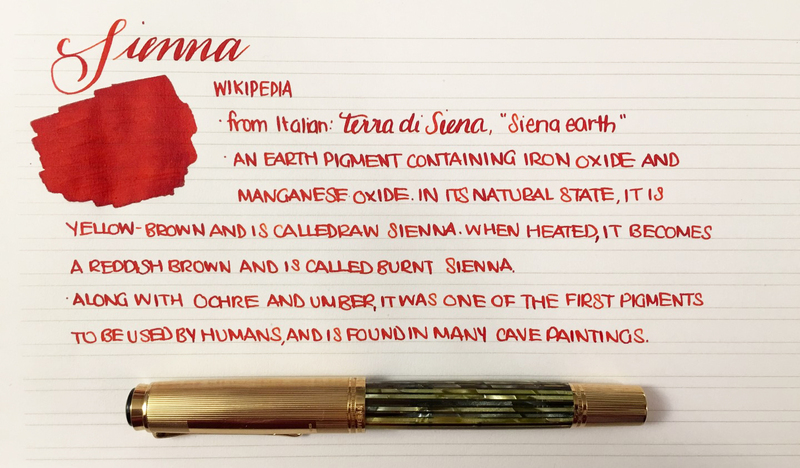 Sienna has always been one of my favorite colors, although I prefer raw sienna as an ink because it shades more. Come to think of it, the same goes for burnt sienna. It’s interesting to see sienna straight up, because as it turns out, it’s lovely, too. A beautiful, rich color that makes me think of a rich, sun-toasted earth. Ochre, umber, sienna – all such gorgeous shades to work with. This entry was posted in Ink. Bookmark the permalink. Follow any comments here with the RSS feed for this post. Post a comment or leave a trackback: Trackback URL.